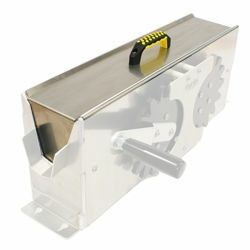 Squeegee equipment includes devices designed to facilitate the use and maintenance of screen printing squeegees. 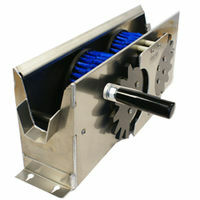 This includes manual and automatic squeegee holders, as well as squeegee cleaning machines. Serilor Hand is a manual squeegee holder made from anodized aluminum that is able to withstand wear and tear longer than other models. Compared to an equivalent wooden model, serilor Hand exceeds in durability and effectiveness. 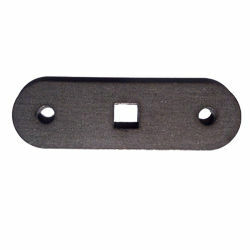 Serilor MACH is a squeegee holder known for superior resistance and a longer life. This line of squeegee holders reduces set up time by having squeegees and holders ready per color. They are also compatible with OEM equipment and adjust to accommodate most squeegees and machine models, including older equipment. 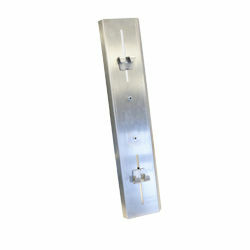 This particular model, the bolt-in holder, was designed to be bolted directly onto the beam. The Squeegee Clean system cleans manual and automatic squeegees easily and efficiently. Simply insert the squeegee between the brushes and slowly turn the handle. The scrubbing action of the quad-brush formation will clean the dirtiest squeegees in seconds. Built for a lifetime of squeegee cleaning, the Squeegee Clean’s metal construction resists nearly any solvent used. The drip spouts located on either side of the Squeegee Clean allow for collection containers to be placed at each end for capturing any solvent that drips from the ends of the squeegees. Additionally, the universal size of the Squeegee Clean allows for any length squeegee to be cleaned with ease. The Shur-Loc Squeegee Clean system includes a variety of optional accessories that make the Squeegee Clean even easier to use. The Shur-Loc Squeegee Clean Power Tool Adapter can be used to turn the Squeegee Clean into an automatic machine by simply removing the manual handle and using an electric drill motor. When not in use, the Shur-Loc Squeegee Clean Storage Lid covers the Squeegee Cleaner in order to prevent chemical fumes from escaping and the solvent from evaporating.